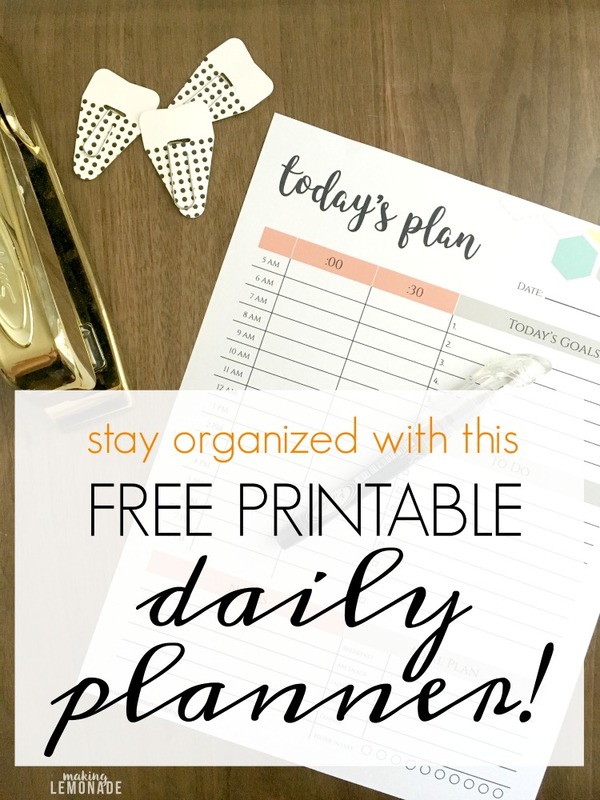 Each Sunday night, I print 5 copies of the free printable daily planner and staple them together. 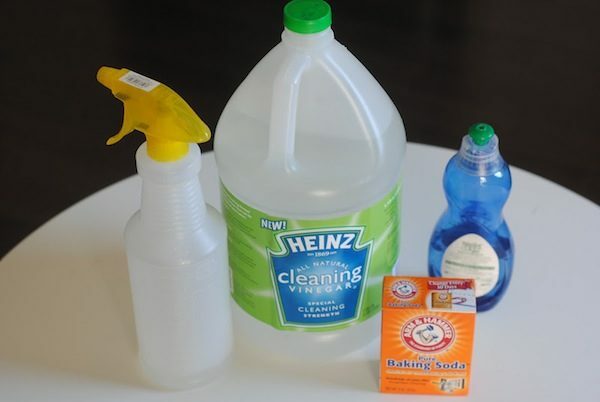 If you have really busy weekends, go ahead and print 7 copies if needed for the entire week. When we were moving, I certainly needed ones for the weekends! Then, fill out the timeslots you have appointments or commitments. I automatically write down school drop-off/ pickup times and then fill in appointments, meetings and sports schedules. Look for large blocks of time, and that’s when you can pencil in large tasks. 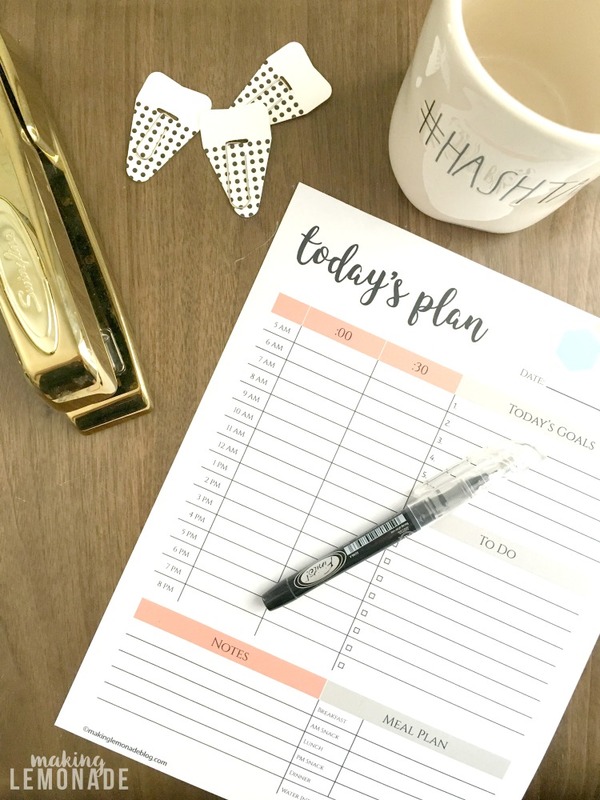 As a blogger, I block schedule those chunks for tasks such as projects, making recipes, editing photos, taking photos, writing posts, working with brands, etc. I also pencil in my cleaning tasks so I don’t skip those accidentally on purpose. TIP: Don’t forget to factor in time for traveling to each place. I’m way more on time now when I pre-plan when I need to leave the house to get various places. 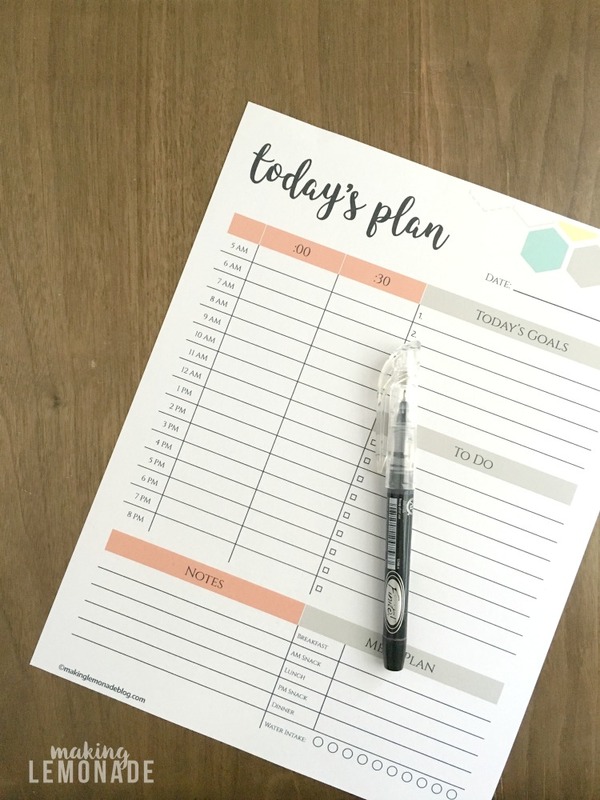 It’s easy to get mired down in a long to-do list, but as I’ve learned in this life-changing book, you have to narrow down your goals and ‘eat’ the ugliest one first. Each day, I write down the 5 main goals I must accomplish that day. No more, no less. Sometimes ‘shower’ is a goal. Sometimes ‘drink wine’ is a goal. Usually I have 5 solid business related goals, but on days you don’t, it’s okay to put ‘take nap’ as a goal. Find the 5 things that will bring you the most joy once they are done– even if that ‘joy’ is simply the feeling of having the weight of a non-preferred task done. Next comes the meal planning. This is SO KEY. No longer do I wait until 6PM rolls around and then call in a Hail Mary pizza order. I’ve reduced the amount of food we waste and tracking what I plan to cook means I’m making simple meals on busy days and saving the more time intensive ones for nights we are home. And by ‘time intensive’, I’m talking tacos, people. My filet mignon days are on the back burner for now. Now for the to-do’s. These are the little things that pop up each day. Your main focus is your goals, but in each day there may be emails to send or calls to make, non-essential errands to run. If those aren’t part of your goals for that day, add them to the ‘to-do’ list. If they can be done later in the week, add them to a goal later in the week or the to-do list down the road. 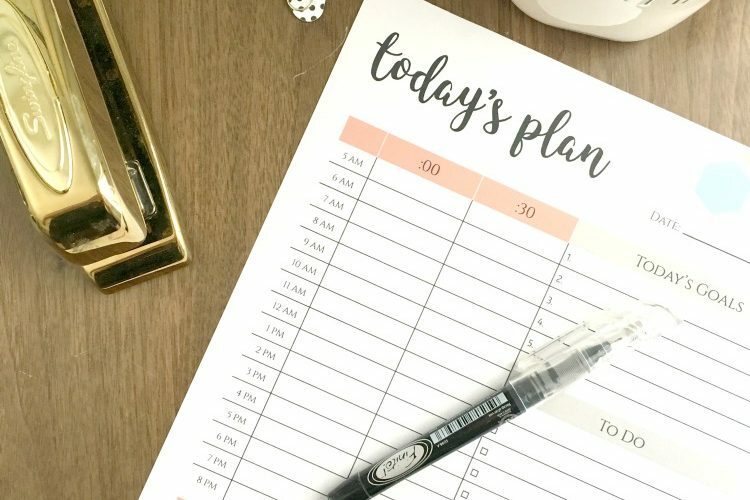 Basically, these are things that can be done with all the free time you’ve created by tracking your schedule and slaying those goals! 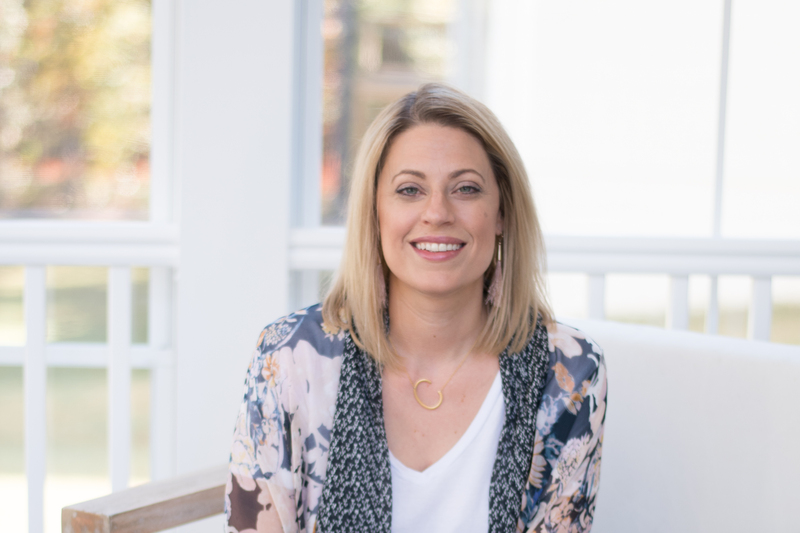 I’m sure many of you are in the same shoes– juggling work, kids, sports, friends, travel (yours or a spouses), daily chores– it’s enough to keep me up at night wondering who I’d let down, and how, and when. THIS WILL SOLVE THAT. Slay your day, baby, slay! 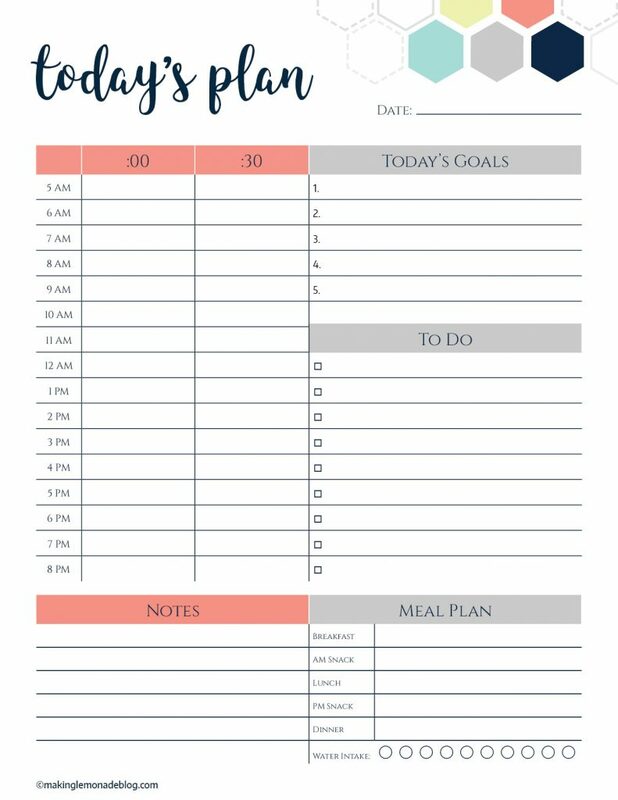 If you or someone you know can use a free printable daily planner, please share the love! 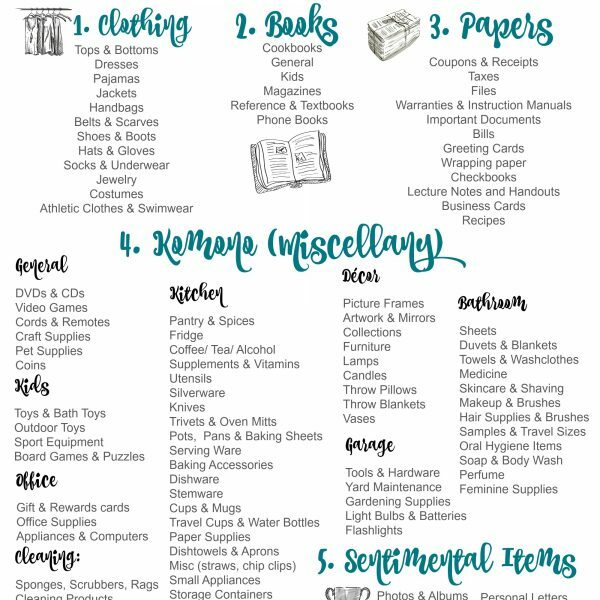 The Ultimate FREE Printable Decluttering Checklist for KonMari Success! 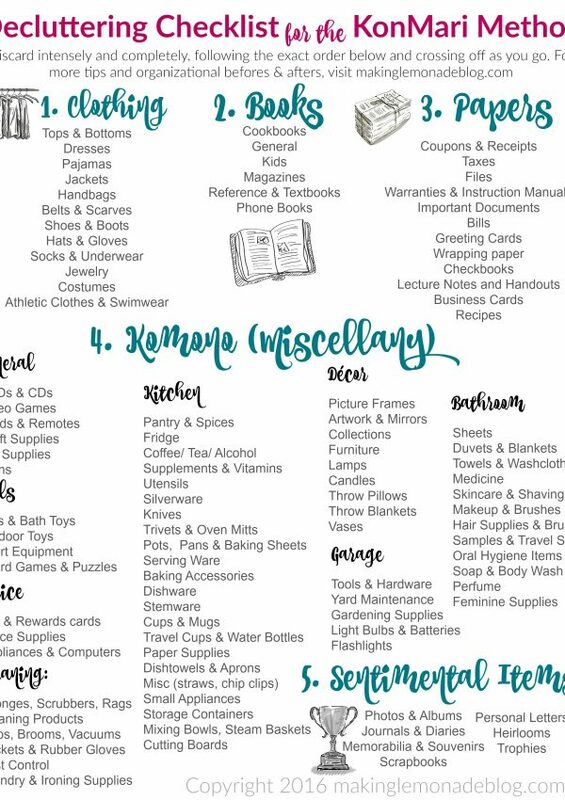 Is there any chance you’ll do a weekly printable? 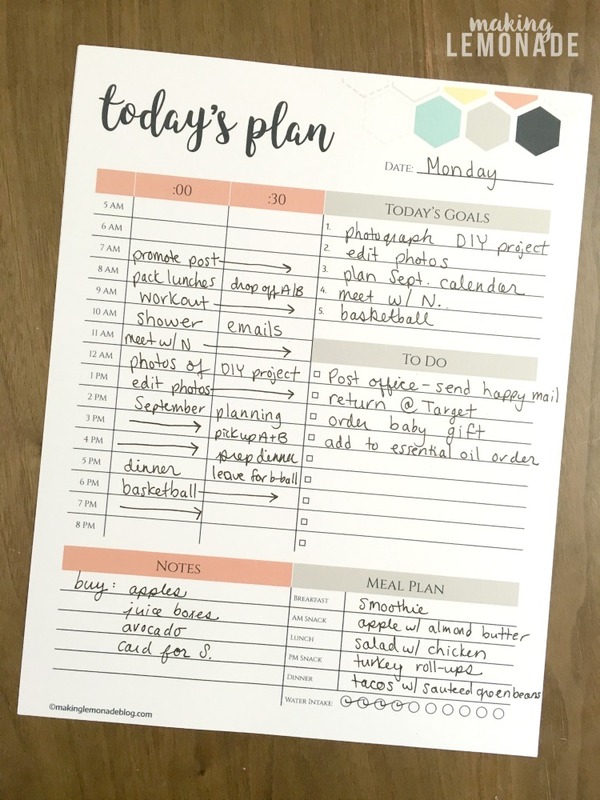 I’ve been trying to find something for my wall — for coordinating meal-planning, kids’ activities and work late (or early) days — but I have been coming up short. It’s funny you say that, I’ve been thinking of doing a weekly one as well. 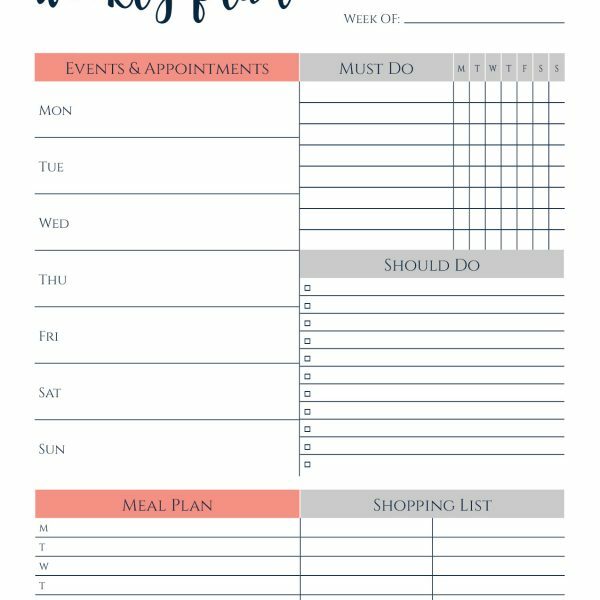 Weekly goals, week’s meal plan, etc. Give me a few days and I’ll try to make it happen! So organized! Is the “meet with N” a mtg with me, I hope?!!! ? I do NOT want to be late!!! Thanks for this! One question; could you make one were the bottom is all notes, no meal plan. Again thanks! Thank you! This is exactly what I was looking for. 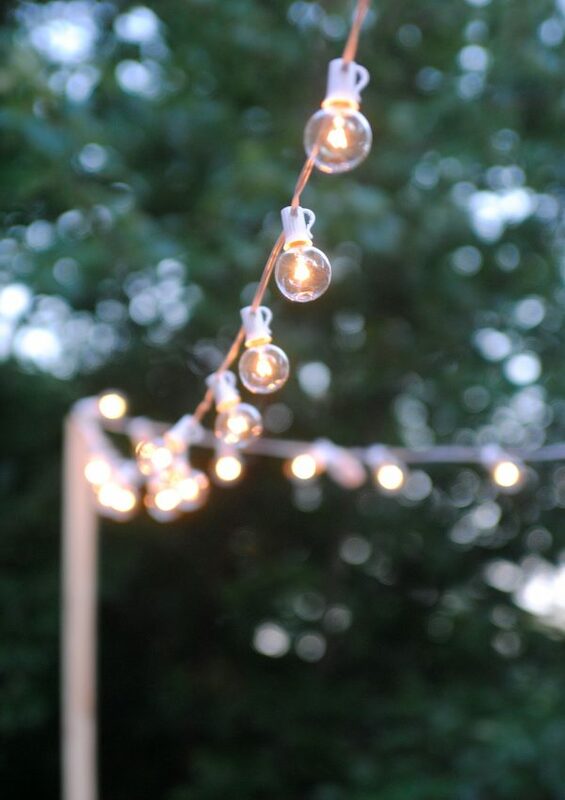 I wish I were clever enough to create these too! Thank you! 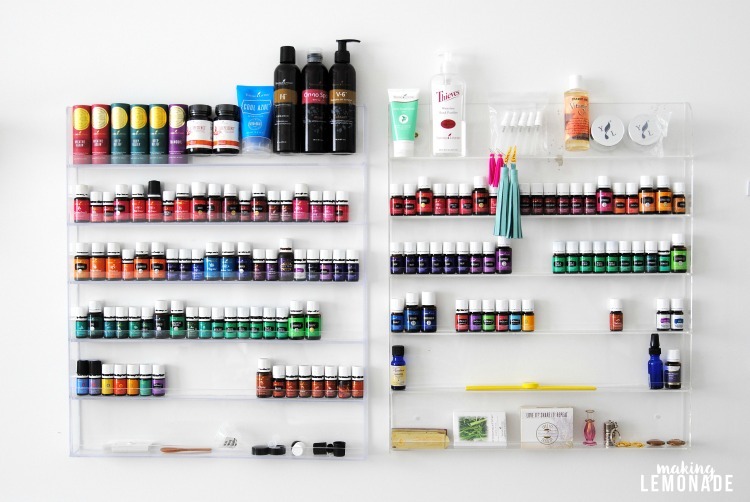 This is the greatest daily organizer. You are really on to something here – I am hooked. If you decided to make a yearly planner with month and/or week pages with the added bonus of this cuteness, I would buy with glee! OMG FINALLY!! This is EXACTLY what I”ve been looking for…ok almost; I’d actually like a literal 1 yr planner with this page as all 365 pages to put in my purse!! 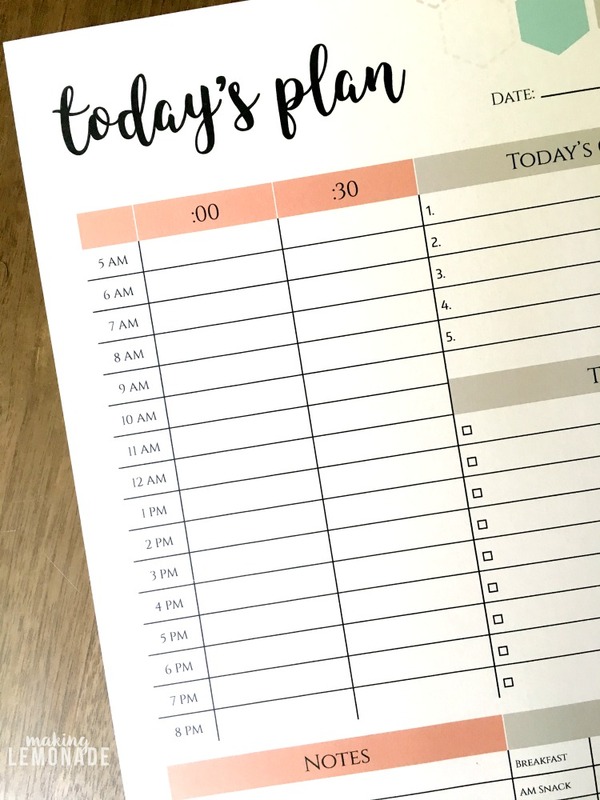 This is wonderful because I like to date my own things (LOL helps me remember what day it is), I like that it has a spot for appointments, goals, dinner, notes….Thank you for posting!!! So glad you are finding it useful! Hi there! This is just about perfect for me, but was hoping it would begin at 4 and run until 9. Is there an editable version? Are you able to edit and send me that version? I’m happy to pay! Commenting again to correct my e-mail! I don’t have an editable version, so sorry! Hi, Carrie! 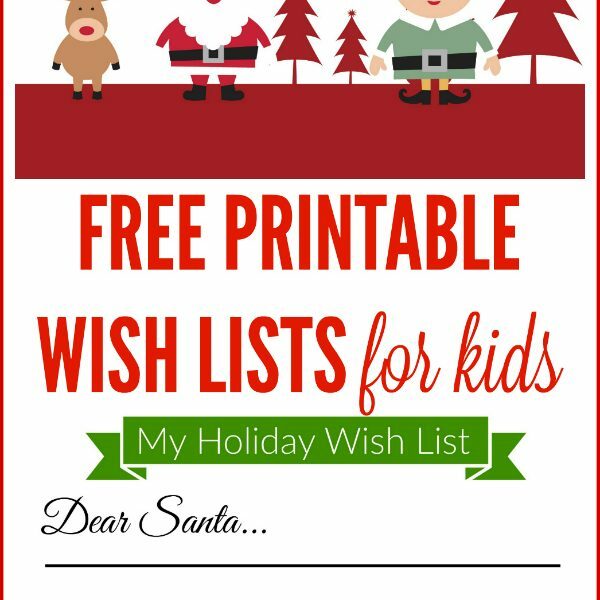 Thank you so much for this printable. I have been living off of these the last couple weeks!! So helpful! I LOVE your printable design! Do you by any chance, have the same designs (daily, weekly) in an A5 size for mini binders? I don’t, so sorry! Maybe you can resize it when printing?